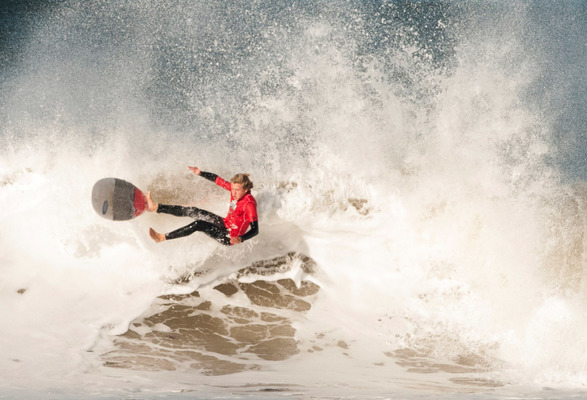 WITH two competitions in three weeks, it’s been a busy time for the 13th Beach Boardriders. While both events were epic, the conditions for each were at the opposite ends of the wave spectrum. In the first event, the 13th Grove crew took on Heads at Beacon in what can only be described as a very fierce but fun Battle of the Bridge. The battle over which town’s surfers owned bragging rites for local surfing supremacy. 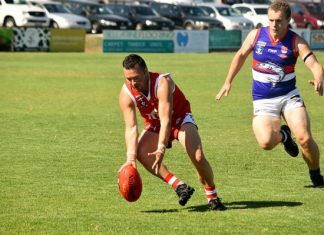 Sponsored by the Barwon Heads Community Bank, this annual free-for-all was a tough battle with a little controversy thrown in. While the small waves were perfect for the Super Groms’ first appearance at Beacon, it was difficult for the Open surfers to develop momentum in the small shifty peaks. As in the football and netball battle held at the same time, the Heads team took this year’s title. The second event was the penultimate competition of the season. Sponsored by Tonik, the event saw perfect barrelling waves in the four to six foot range at Beacon, probably the best competition conditions the club has seen in a long time. With aggregate ratings close in all divisions and exceptional waves on offer, the judge’s task was exceptionally difficult to separate winners from losers in what was a barrelfest. The Super Groms also had excellent conditions at Mick’s Steps, Grove and really shredded in the near perfect two-foot peelers. Under 10: 1st Jerry Kelly, 2nd Monty Mason, 3rd Ted Conroy, 4th Max Bassett. Under 12: 1st Isaiah Norling, 2nd Jack Bassett, 3rd Charlie Cox, 4th Charlie Farrer. Under 14: Zeph Lamperd, 2nd Sean Rielly, 3rd Ellie Harrison, 4th Charlie Mahoney. Cadets: 1st Charlie Mahoney, 2nd Ellie Harrison, 3rd Sean Rielly, 4th Zeph Lamperd. Junior Men: 1st Marcel Laidlaw, 2nd Evan Tresidder, 3rd Harry Mahoney, 4th Charlie Mahoney. Senior Men: 1st Shawn Todd, 2nd Damien Robertson, 3rd Christian Prichard, 4th Shane Vincent. Open B: 1st Mitch Hoyer, 2nd Todd Sapovski, 3rd Leigh Butcher, 4th Sam Fitzgerald. For a full display of photos and for the last club information head to our Facebook page. The final competition for 2015-16 13th Beach Boardriders will be held on 3 June. Hope to see you there or in the surf.